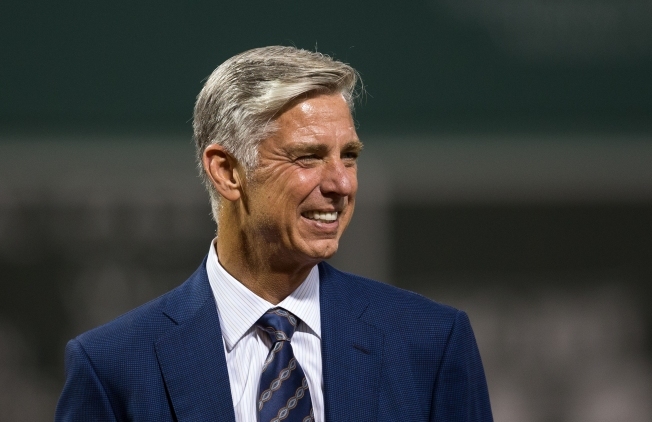 What Will Dave Dombrowski Do This Off-Season? Will the Red Sox president of baseball ops make big signings or trades this off-season? What a strange and unnerving moment for Red Sox fans. There is, of course, so much that gives us hope right now. The Sox, having just won the American League East after consecutive last-place finishes, are overflowing with terrific young talent, and the minor league system is poised to deliver still more of it over the next few seasons. The team has one of the finest ownership groups in the game, and one of the handful of highest payrolls, too. The Red Sox, in other words, appear set to compete for championships for years to come. And yet, so much about the team feels unsettled. There are a number of reasons that this is so, including the sudden absence of a certain designated hitter, but it begins with the fact that many of the architects responsible for designing and constructing the organization as it stands today - the people who drafted, patiently developed, and refused to trade the players who are now the stars of the major league roster - have moved on from the Red Sox. Collectively, these were the people who brought us the young standouts we already know - Mookie Betts, Xander Bogaerts, Jackie Bradley, Jr., Eduardo Rodriguez, Andrew Benintendi, Blake Swihart, Christian Vazquez - and also the ones we may get to know in the future: Yoan Moncada, Rafael Devers, Michael Kopech, Jason Groome. Now those front-office minds are all gone. Which is not to say that the Red Sox are no longer in capable hands. Dombrowski is a highly respected baseball executive with a history of success. But as we embark on an important off season, he is also, to Red Sox fans, something of an unknown. At 60, he has traditionally relied far less on analytics in his decision making than have the Sox of the past dozen or so years. He has also shown a much greater willingness to trade prospects for established major leaguers. He gave up a lot of talent, for instance, to acquire closer Craig Kimbrel, a deal that worked out for the Red Sox. Less successful, however, was his mid-season deal for the pitcher Drew Pomeranz, who has so far failed to perform in Boston the way he did in San Diego, and who cost the Sox their best pitching prospect in a generation. Now, as Dombrowski reviews a largely successful 2016 season that nonetheless ended in frustration, what will he conclude? The nerve-rattling truth is that we just don’t know. The team as constructed is very talented, but will Dombrowski decide that he needs another top-tier starting pitcher? Perhaps some bullpen help, or, with the retirement of that designated hitter, a new slugger? My hope is that the Sox will not trade any of their core young players or top prospects, and will instead give the group an additional year to develop. With an additional year of seasoning for the young core, the possible return from Tommy John surgery of the fine reliever Carson Smith, a couple of small tweaks and upgrades to the roster, and a bit of luck, it’s within reason that the Sox could challenge for a championship next year, all while holding onto their promising minor leaguers. For these reasons, I was comforted by Dombrowski’s comments to reporters Monday at the general manager’s meetings. He said he was unlikely to trade for a front-ender starter, didn’t foresee locking up the DH spot with the long-term signing of a power hitter, and thought the club’s main need for 2017 was an eighth-inning reliever. That’s a plan I can get behind. But does Dombrowski mean it? We just can’t know. Since John Henry bought the team in 2002, the Red Sox front office has had a very particular way of doing things - the “Red Sox Way,” as Theo used to describe it. There were calibrations and recalibrations over the years, of course, but the overall approach remained largely intact. It has brought the team to the brink of its next championship run. We’re about to find out what Dombrowski does with it. John Wolfson spends a lot of time thinking about the Boston Red Sox, politics, current events, and poker. He is the editor of Tufts Magazine and the former editor of Boston magazine. His writing has appeared in publications including The New Yorker, The Atlantic, and The New York Times.